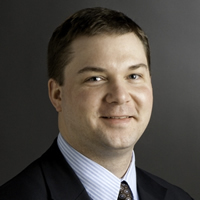 Mark Coleman is the Manager of Technical Development for Venture Creation's Clean Energy Incubator (CEI) at Rochester Institute of Technology (RIT). In this role, he provides technical expertise to assist with technology validation, business development, strategic planning, marketing and capital development and sustainment for CEI companies. The mission of Venture Creations is to reduce barriers to, and accelerate the development of successful technology businesses. In the process Mr. Coleman and CEI provide critical business and technology services while establishing close relationships between incubator clients with RIT researchers, scientists, business professionals and students. He also serves as Senior Program Manager at the Center for Integrated Manufacturing Studies (CIMS) based at RIT's Golisano Institute for Sustainability (GIS), managing a portfolio of projects focused on sustainable energy technology, systems integration, sustainable design of products and technology, policy and logistical strategies for minimizing the environmental impact of products. For more than a decade, Mr. Coleman has served in a senior research capacity for the AHC Group, a private management consulting firm. Previously, Mark was an energy analyst and strategist with the New York State Energy Research & Development Authority (NYSERDA). While at NYSERDA, he also contributed to statewide energy planning, NYSERDA's strategic planning process, and the development of an energy market research and intelligence capability. He is a graduate of Rensselaer Polytechnic Institute with a Master of Science degree in Environmental Management and Policy from the Lally School of Management & Technology. He is also has a bachelor's degree in Geography and Environmental Studies from Binghamton University. His first book, "The Sustainability Generation: Why Personal Accountability is Essential NOW!" will be released by SelectBooks in the summer of 2012.